This series of eight typographical T-shirts form part of the collection. The focus of the graphics are fun and quirky quotes hand picked from the books. London/New York based illustrator Ashley Bowsher was commissioned to create a bespoke hand drawn alphabet (using ink). It was re-rendered digitally using illustrator and applied to many garments. 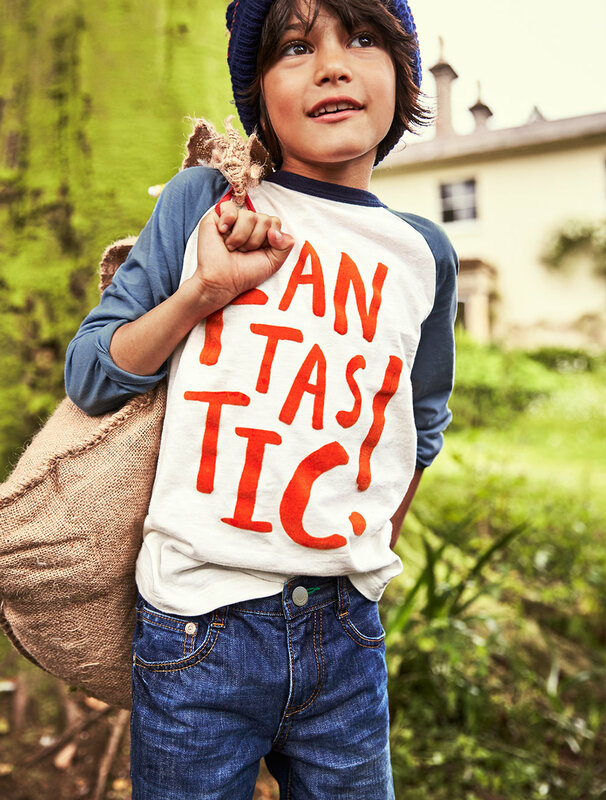 Various special finishes were selected for the T-shirts, such as furry flocking (Fantastic Mr Fox), metallic gold (Charlie and the Chocolate Factory) and sequins (The Twits) which made the pieces extra special. Three styles of inside labels were created to go on each garment. 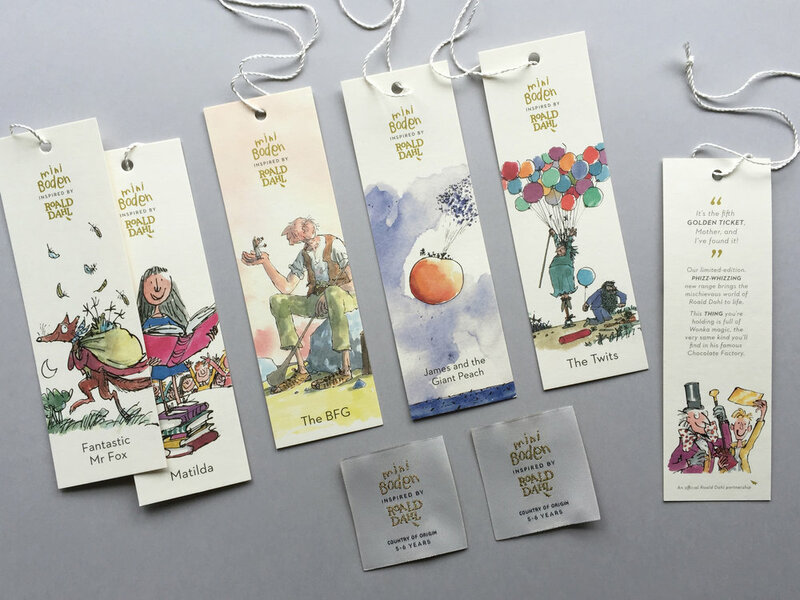 Six bookmark style clothing tags were designed and attached depending on which book they were inspired by. Gold accents run through the collection, a metallic gold thread was used on labels and a metallic pantone spot colour on clothing tags. 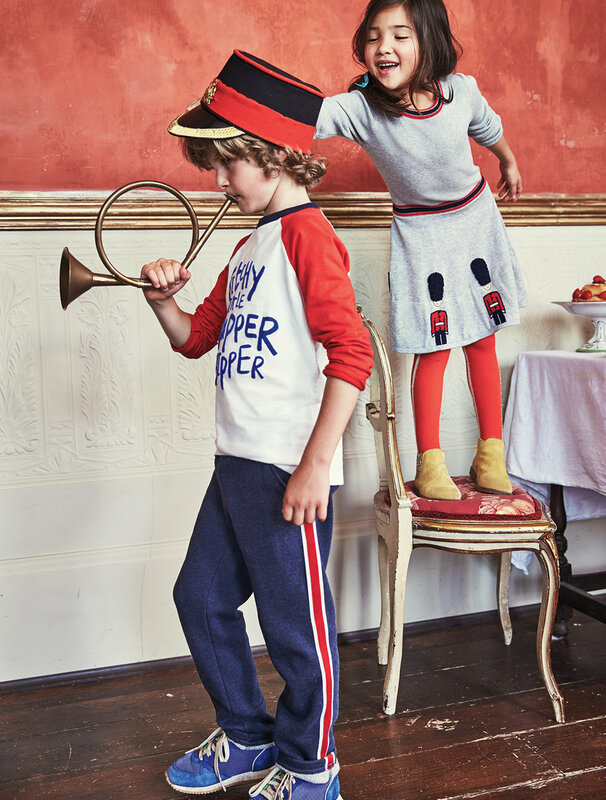 The girls’ and boys’ collection spans sizes from two to 12 years, and retail prices range from $19.50 to $125.50. The limited-edition collection launched on Oct 3 2016 sold at bodenusa.com and Nordstrom.